Posting from Instagram to Twitter? Perhaps you’ve noticed that your picture doesn’t show in the tweet stream. 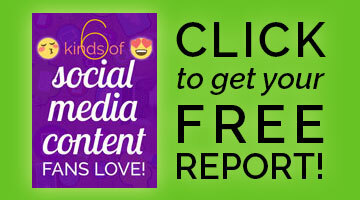 Instagram would rather your tweeps click through to the Instagram website – bringing them traffic. 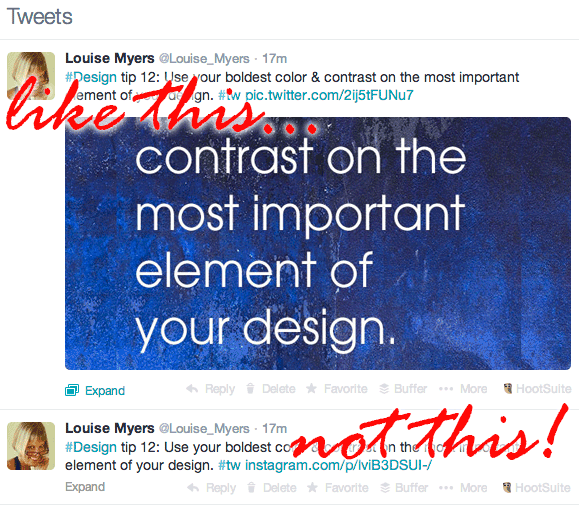 Your tweeps, however, are more likely to see and retweet Twitter images that are shown right in the feed. 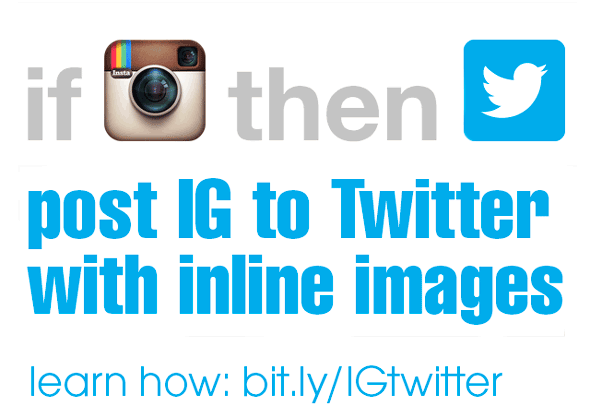 Fortunately, there’s a better way to post Twitter images from IG. Here’s how! Once Instagram was purchased by Facebook, they removed support for Twitter cards, so images shared to Twitter via IG no longer automatically post to the Media Gallery on Twitter, nor do they show in the Twitter stream. CEO Kevin Systom said this was done to drive traffic to Instagram.com. That might sound complicated, but IFTTT user “djbentley” came up with a “recipe” to fix this issue, and all you need to do is set it up on your own IFTTT account! If you don’t already have an IFTTT account, you’ll have to set one up. Add DJ’s recipe. Over 6,000 people have used it, so it must be good! (I’m one). Edit the tag if you want. I used tw – it’s nice and short! Now, when posting an Instagram photo, include your chosen tag, and your image will post to Twitter as a native image with a card that will be seen big and bold in the tweet stream. I shared this from Instagram to Twitter both ways so you could see the difference. Top tweet posted via IFTTT, bottom tweet direct from Instagram to Twitter. Ten times the impact when posted with the IG to Twitter hack described above! Remember to keep the caption short for the sake of Twitter. Twitter images include a link in the tweet, which adds 23 characters. Figure on 100 characters max for the caption you type on Instagram. I love this shortcut and use it twice daily! What do you think of the Instagram to Twitter hack? When I go to your Twitter page, it does show in the stream. So I think it’s working correctly! I’ll check on how to enable comment reply notification – thanks for letting me know it’s not available! I can’t add plugins on this new platform 🙁 But I bet it’s here somewhere! Its not working for me :/ I don’t see anything that says ”channels” or a customized tag to add. They’re now called “services.” Then if you go to the applet linked in the article and turn it ON, you should see the tag field. Thank you so much for this insight. Works like a charm! Hi Louise, thanks for sharing this. While IFTTT is a great service, it can be a bit intimidated to less tech-savvy people. Therefore I’ve created a (free) service to make this process even simpler. Just connect your Instagram and Twitter account, and it will automatically share your Instagram photos/videos in a way that makes them show up on Twitter.